That’s right, it’s a casserole oven bake, it’s freezable, and it has the word “Pizza” in its name. This Pizza Casserole Oven Bake Freezer Meal might just be the next major favorite at your large family table! 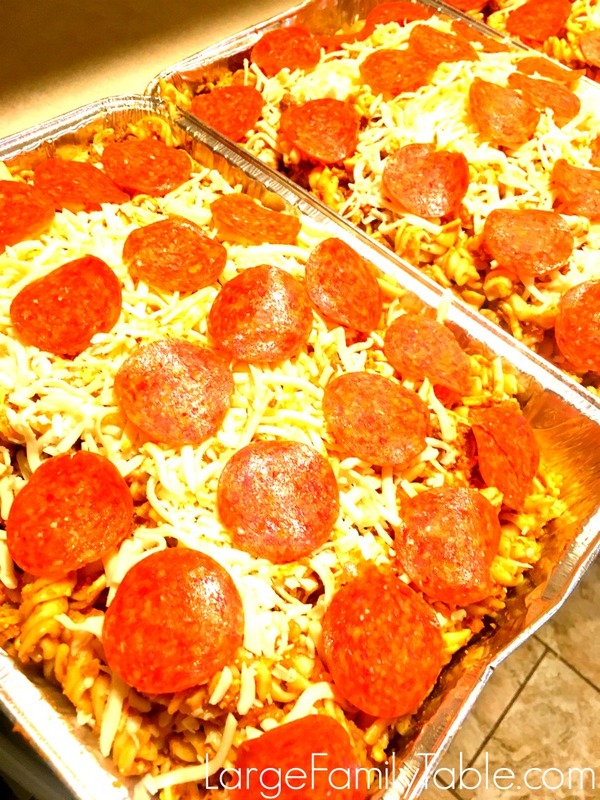 You can top this Pizza Casserole Oven Bake like your family’s favorite pizza as well. Add pepperonis, black olives, banana peppers, green onion, – whatever is your pizza fancy! My affiliate links are used below. That means if you happen to shop through one of my links I will make a small commission. This costs you nothing additional and blesses my online work, thank you! Here’s my full disclosure policy. Here are the full ingredients you’ll need to make four 9×13 pans of Pizza Casserole Oven Bake for the freezer! Set out 4 – 9×13 baking pans. In a large stockpot or huge mixing bowl gently stir together pre-cooked ground beef, precooked noodles, 8 cups of shredded cheese, 4 jars of pizza sauce, and the contents of 2 packages of pepperoni slices. 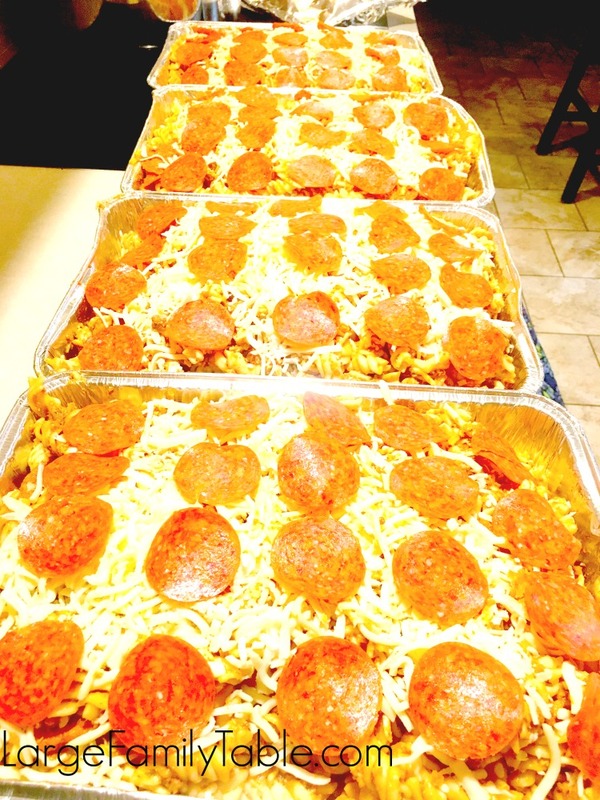 Fill each 9×13 baking pan approximately 3/4 full of baked Pizza Casserole Oven Bake mixture. Top each 9×13 pan with one additional cup of shredded cheese, 1/2 cup Parmesan Cheese, and approx 3 oz (1/2 a pack) of pepperoni slices. Set the desired pans of Pizza Casserole Oven Bake out in the refrigerator the evening before you’d like to serve. Place Pizza Casserole in preheated oven for 1 hour or until bubbly and hot. Remove last layer of foil and allow to cook for 10 additional minutes. Allow your hot Pizza Casserole to slightly cool on counter for 5-10 minutes before serving. If cooking your Pizza Casserole from completely frozen (this happens in real life :), remove plastic wrap and one layer of foil and place frozen Pizza Casserole in a preheated oven at 400 (oven temps may vary). Cook for up to 2 to 2 1/2 hours or until hot and bubbly. Remove last layer of foil and cook uncovered an additional 10 minutes as needed. 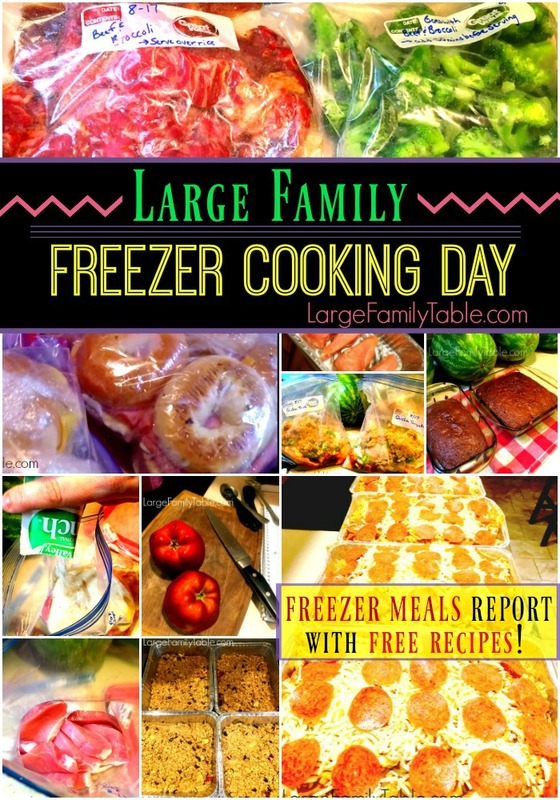 Watch me make this freezer meal recipe along with 36 large family dinners, 30 breakfasts, and 15 lunches in my recent LARGE FAMILY FREEZER COOKING DAY: Freezer Meals Report & Free Freezer Meal Recipes post here! 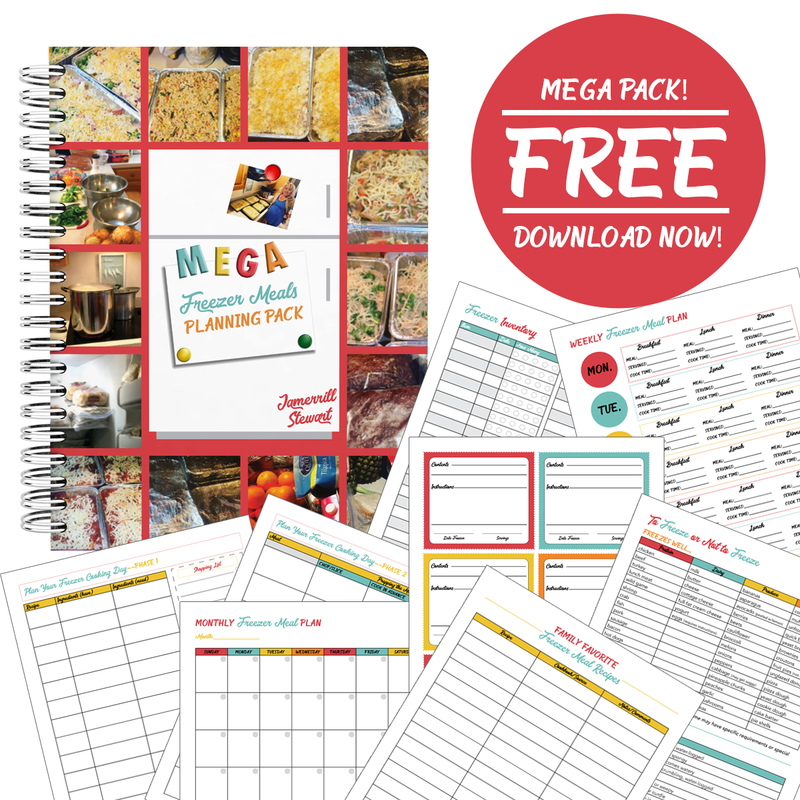 Don’t Forget Your FREE Mega Pack! 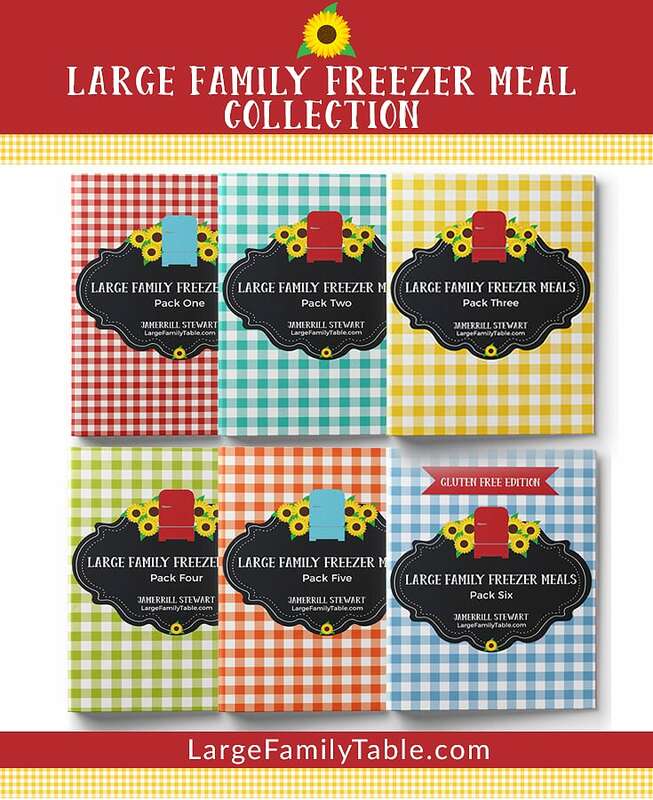 Don’t forget to snag your free Freezer Meals Planning Pack to plan an awesome freezer cooking day for your family, too!